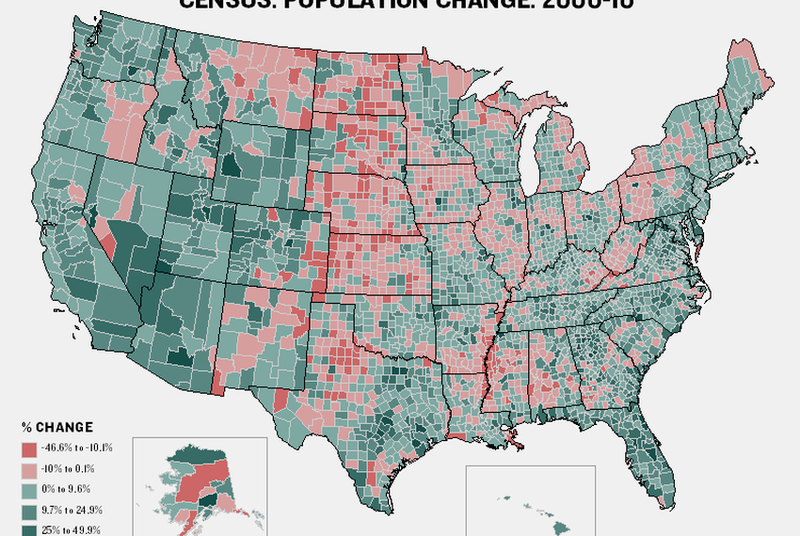 The map above shows population growth among all races in each of the more than 3,141 counties (and county equivalents). 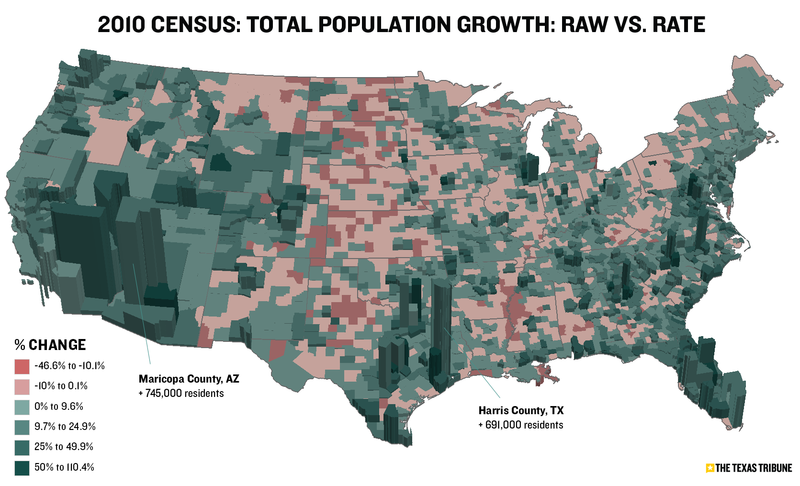 Red shades represent counties that lost population, and darker green shades represent those with higher rates of growth. 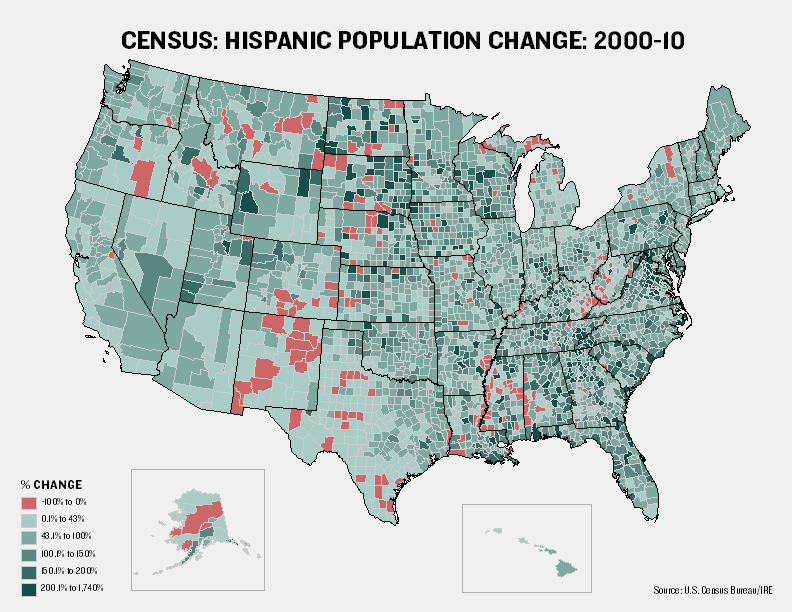 I've also uploaded high-res PDF files (all population, Hispanic) and the raw data behind the maps. UPDATE (3/26/11): I've converted these maps to 3D format. The thematic colors remain the same (darker greens represent higher growth rates; reds represent declining rates). The new 3D extrustions represent actual raw population change.